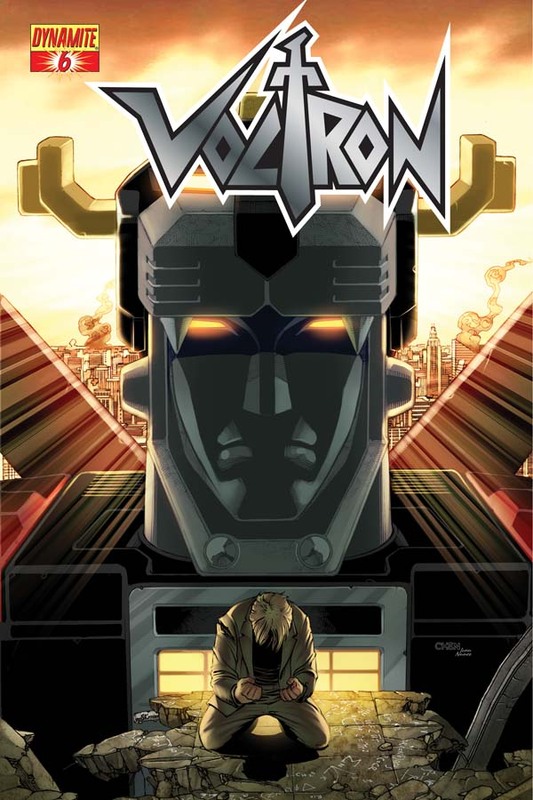 Okay, so issue #6 of Voltron hits today, and it’s a pretty big deal for me. When I turned in this script to my editor Joe Rybandt, it also included this gushy diatribe to him about what it meant to have reached the end of my first major story arc on my first monthly comic assignment. Being afforded the opportunity to take this one story from beginning to end is a personal victory that even I can’t diminish with my inferiority complex, and I just wanted you all to know that I’m taking the whole thing very seriously, and was glad to reach this critical point. And now I’m glad everyone finally, finally gets to read it. Working so far ahead and thereby having to keep things secret from everybody is always tough for me. Ask anyone that’s met me in person—get me going and I’ll come like “this” close to just telling you everything that’s going to happen in the book, all through a wide, strangely fixed Kool-Aid grin. But now we’re here and I can officially talk about the big reveal of the story, which is the final piece that led Zarkon down his deep, dark path. This of course is in addition to lifting the curtain on exactly what the next story will be all about, in the form of a glorious preview of N. Steven Harris’ upcoming work on the title. That’s all I’ll say for a couple days until the issue (and what happens in it) goes a little wider, but here’s a vague teaser for the issue—Someone dies. Someone returns. Someone lives. Get your five page preview over at CBR, and a couple of great reviews have already posted up here and here.